I posted a pic on Instagram of these in my cart at Trader Joe's last week and got several "you have to do a review of those" comments, so here we are. Happy to be of service! 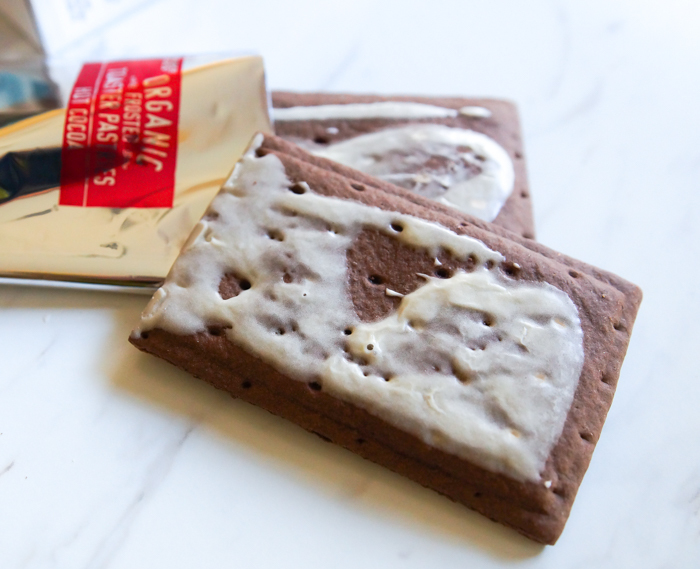 Today we review Trader Joe's Organic Hot Cocoa Frosted Toaster Pastries. Basically, Trader Joe's version of the chocolate PopTart. Just like with the traditional PopTarts, they come in a box of 6, with 2 pastries in each sleeve. A box costs $2.99. I love two kinds of PopTarts: Frosted Strawberry and Chocolate. These are the only kinds that should be allowed. If you're a Brown Sugar Cinnamon fan, I'm not sure we can be friends anymore. THIS IS WHERE I DRAW MY LINE POLITICALLY. She says: Well, these go right on my "I cannot have these in my house" list. They're too dangerous. Lots of cocoa flavor...the filling is just the right amount with those crispy edges that you remember from your childhood. 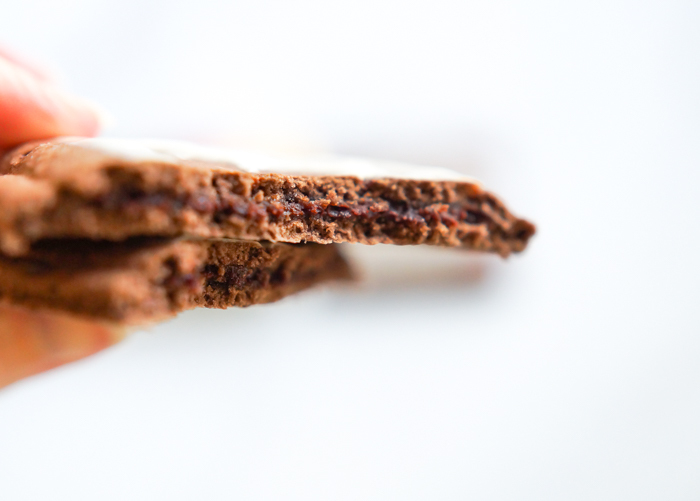 Chocolate PopTarts, only BETTER. 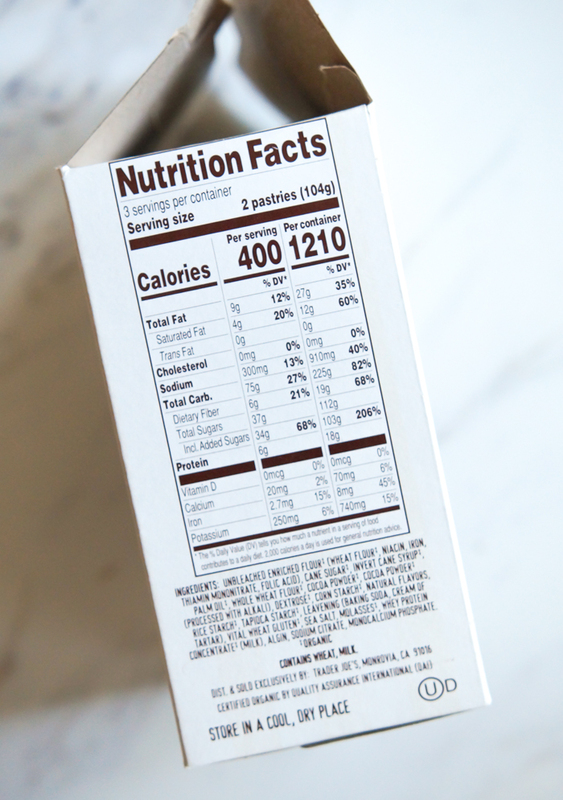 I always chuckle when Trader Joe's occasionally lists the nutrition info for a serving AND for the entire box. Seriously though, once I ate two, I checked the label to see how much the entire box would set me back. He says (Mr. E.): These are very tasty and full of cocoa flavor. Well done, Trader Joe's! It caused me to have a flashback to grade school...I wanted cartoons on TV and comfy pajamas. And a glass of 2% milk to make these even better. 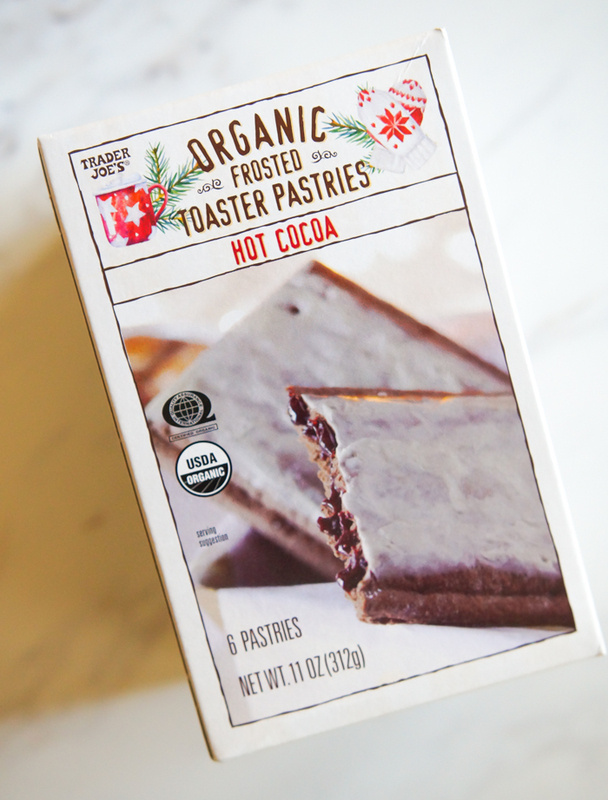 Trader Joe's Hot Cocoa Frosted Toaster Pastries: YES!!! Go get them!